Struggling with Debt? Our church offers free debt counselling to our neighbours in downtown central-west Hamilton through our CAP Debt Centre. Whatever your situation, there is hope! To make an appointment for our Debt Coach to come and visit you in the privacy of your own home, contact Christians Against Poverty toll free at 1-855-214-9191. First Hamilton CRC offers a free money management course that gives participants skills and resources to manage their money well and has a lasting, positive impact on their finances. For more information, email capmoneyteam@firsthamilton.ca. Christians Against Poverty (CAP) is all about empowering the local church to relieve the poverty they see in their neighbourhoods. The need is all around us. Debt is one of the biggest causes of poverty in the western world. It causes stress and fear, hunger (76% of clients miss meals), family breakdown and even suicide (37% of clients considered suicide). CAP works through a network of church-based centres to get alongside the poor and broken to offer hope, friendship and a real way out of poverty. 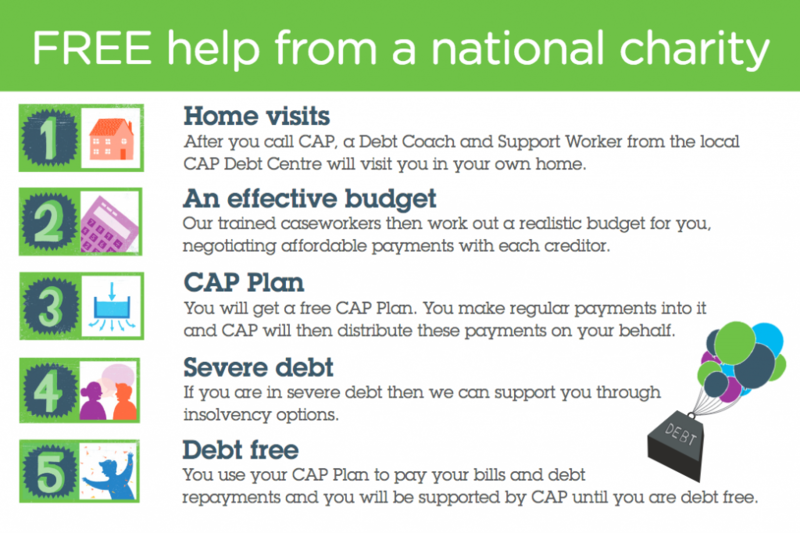 Our church has partnered with CAP to offer professional debt counselling through our CAP Debt Centre and financial education through the CAP Money Course. Christians Against Poverty is an international debt counselling charity with a wide network of centres based in local churches. The national head office is located here in Hamilton, ON and is an accredited member of the Canadian Association of Credit Counselling Services.